The needs and abilities of older Manitobans change gradually over time. The kinds of changes and when they occur vary from one person to the next. Although many seniors can remain active and independent in their own homes, others need a little help to continue living in the community. Placement in a personal care home is not the only option to meet the changing needs of older adults. Many seniors can safely remain in their community if they have assistance with their daily routine or basic health needs. It isn’t always easy for seniors and their families to determine what solution will work best for them. Although the family home may be full of memories, it may also feel very empty, leading to isolation, depression and even malnutrition. Some home-based services – such as Services to Seniors and Home Care – are available to eligible individuals to help with their daily activities or health needs. However, an increasing number of older adults find themselves in need of an alternative safe, comfortable housing option. Manitoba’s Aging in Place initiative may have the answer you’re looking for. Living in a supported environment offers independence while at the same time providing social interaction, personal safety and basic amenities like community dining rooms, housekeeping help and laundry assistance. And as needs change over time, there are options that allow seniors to gradually increase the support and assistance they receive while at the same time maintain as much independence as possible. people as independent as possible, for as long as possible. 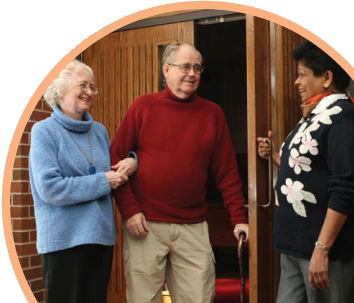 Supports range from one-on-one help with arranging appointments or transportation, to social activities and expanded meal programs. The Supportive Housing concept was introduced as an option for seniors who require 24-hour support and supervision. This community housing option can help seniors delay or avoid personal care home placement until an intensive level of care is required. Supportive Housing combines community living in a secure apartment setting with personal support services. The resident pays for rent and a service package (meals, laundry and housekeeping). Personal care is funded through the regional health authority (RHA) at no cost to the tenant. 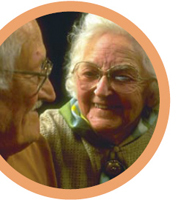 Eligibility is assessed through the RHA’s Home Care Program. A personal care home is an option when an individual needs 24-hour nursing care due to significant physical or mental deterioration. Personal care homes are designed for individuals who can no longer safely remain at home or in a supportive housing environment. Explore the options and find the best solution. For more information contact your regional health authority. In addition to the government-supported programs described here, there are private facilities that offer independent, apartmentstyle living and additional amenities such as laundry/linen service, transportation, light housekeeping and meals for a separate fee. For information about the types and costs of the services offered at a private facility, ask the landlord or property management office for details. To access the information on this page in PDF format, please click here.